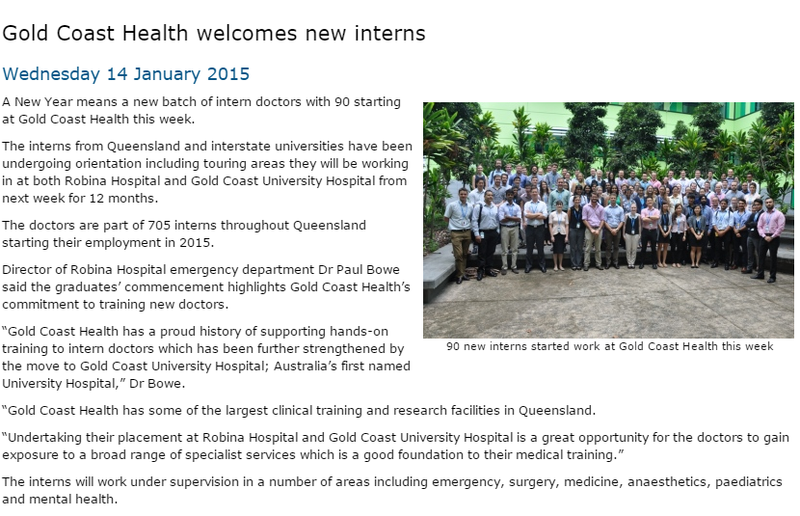 Last week Gold Coast Health welcomed the new batch of intern doctors starting their careers this year. They will be working at the Robina Hospital and the Gold Coast University Hospital which is right around the corner from Sphere. The Sphere team want to join the band wagon and wish the new Gold Coast doctors all the best!